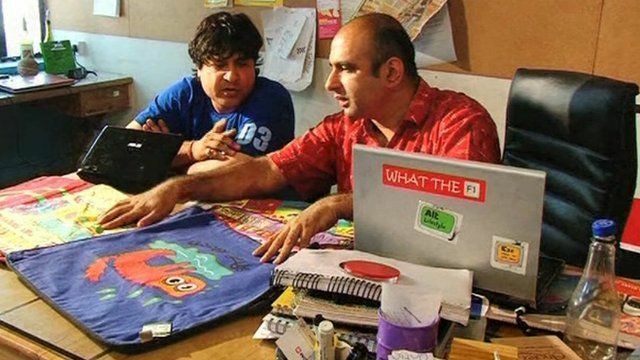 Case Study:How Happily Unmarried is making the youth of India happy with its quirky products? 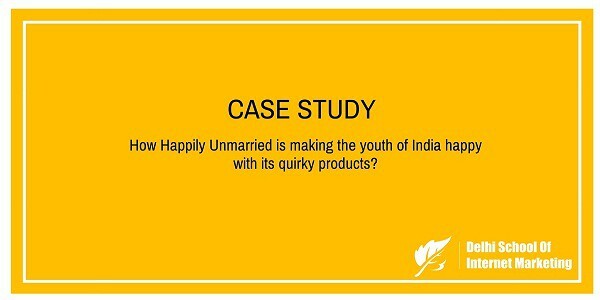 Home > Blog > Blog > Case Study:How Happily Unmarried is making the youth of India happy with its quirky products? Happily Unmarried founded in 2003 is known for quirky products is a product brand from India. Based in Delhi, it was founded by Rahul Anand and RajatTuli, both alumni of Mudra Institute of Communications, Ahmedabad. Happily Unmarried collaborates with many designers and craftsmen from across the country to combine traditional skills and modern design to create a host of lifestyle products and ordinary household goods. A young professional post-graduated from the prestigious Mudra Institute of Communications, Ahmedabad,Rahul Anand was working as a marketing manager in an IT company. He had notbeen paid his salary for almost six months. His friend Rajat Tuli and he himself were working for a loss making company in Hyderabad for nearly two months, and then were shifted to its Mumbai branch, and then to Delhi. Working without salary in a loss making firm left both of them with no money in their pocket and for the next eight months, theywere left with no money. What they had with them was just a company-owned laptop. After few months, the firm went belly-up and the duos were in great confusion of what to do next. Although they were to find their next job but they decided to start their career as an entrepreneur. It was really a very tough decision for both of them as their families were against this entrepreneurship start and thus they both had nothing to invest in their startup idea. The only thing they had was the company owned laptop which Rahul can sell and manage to arrange money. Rahul however managed to convince his ex-girlfriend’s father to buy his laptop and then sold it for INR 50,000. This was like a life for their startup idea. The duo started their entrepreneur career in the year 2003 with Happily Unmarried which started its operation from the rented room of Rahul in Malviya Nagar, Delhi. The motto of their business was to offer all the services to the singles in the city. Offerings included accommodation, furnitures, curtains, rugs and everything that a single man needs in a new city. It was a bad start for them as the sector was unorganized and they had no money to hire a full time employee. So the duo did most of the things by themselves. Later they decided to focus on product rather than offering services. From conceptualizing a product and upto selling them was their own task and it was really getting a tough task for Rahul, thus Rahul once thought of quitting as entrepreneur and again join a cushy job. But Rajat was mentally stronger than Rahul and he convinced Rahul for not quitting his entrepreneur career. Mukul Goyal, a designer stood with them in their tough time and worked upon number of designs and manufactured their first product from its Gurgaon unit. The market was new for them and not much people knew them, so they started with an idea and started visiting their friend’s office with their products. During lunch time the conference rooms get turned into mini bazaars. To attract the customers and be in the lime light, they kept their products funny and it became the USP of the company.In 2003 there were no malls and certainly no social media. So, the only thing that could work for them was “word of mouth”. The success came for the company when they received an order of corporate gifts for National Geographic Channel. This worked as a big break for the company and the money received from the order was used to upgrade the product range. The brand has now an offering of various categories including apparel, bags, stationery, phone covers, home accessories and many others. Now the brand Happily Unmarried is not an unknown brand in the market. Although the brand is promoting themselves through all the free social media platforms, their customer base is increasing day by day. From a rented flat in Malviya Nagar, the company has now shifted to Okhla. With 11 stores and a franchisee store in Shillong, the company is moving steadily towards its expansion. 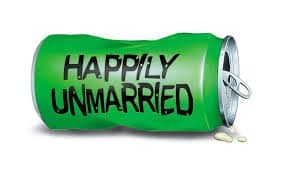 Happily Unmarried has received funding in late 2012 by Info Edge.In the announcement made by Info Edge it has invested Rs 5 crore in Happily Unmarried in November 2012. The investment was made for 25 percent stake in the company. In the second announcement made by Info Edge in the year 2014, it has put an additional Rs 4 crore ($0.65 million) in Happily Unmarried. This investment was also made for the value of stakes in the company. With the second infusion of the fund, Info Edge’s total investment in Happily Unmarried became INR 9.4 crores and it holds about 34 per cent stake in the firm on a fully converted and diluted basis. Working with other cool brands like Bacardi, Delhi Daredevils, and movies like Bombay Velvet, Shandaar, Phantom, DilDhadakne Do, NH10,the brand has received a huge popularity. Its Facebook fan following has reached to more than 5 lacs and still counting. Twitter has witnessed more than 4000 followers. [su_box title=”More Case-studies from DSIM :-” box_color=”#c7c7c7″ title_color=”#000000″ radius=”5″]1) Case Study:How FabAlley set out to carve its own space as a brand among the big names in Indian e-commerce Market? 2) Case Study:How FabAlley set out to carve its own space as a brand among the big names in Indian e-commerce Market?